Headlight Bulbs & Accessories. THIS SET INCLUDES 2 HIGH BEAM & 2 HIGH / LOW BEAM HEADLIGHTS. THESE HAVE THE ORIGINAL SHAPED PRONGS ON THE BACK SO THEY WILL PLUG RIGHT INTO YOUR ORIGINAL WIRING HARNESS PLUGS. White is for DRL. LED Power:75W. Simple installation - Plug & Play & LED Canbus & H4/H13 Adapter - Usually in 20 minutes or less. Our goal is to make your choice easier and save your money. For Land Rover 90/110 Tdci. 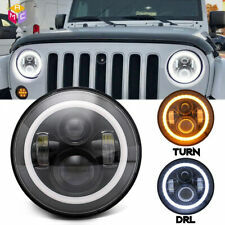 One - 5-3/4" Crystal Clear H4 Headlight w/ Switchback White Halo LED Halo and Amber LED Turn Signal. 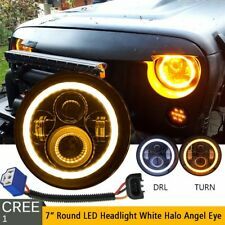 One - 5-3/4 Crystal Clear H4 Headlight w/ White & Amber Switchback LED Halo Ring. The white halo can be wired to your ignition source or parking lights and the amber halo can be wired into your turn signal wiring. Headlight Bulbs & Accessories. I-5 Custom Grilles. • Are incomplete or missing parts; or. The warranty does not cover Warranty, Defective & Right Of Refusal. I-5 Classic Chevy 27520 Avenue Hopkins Suite F, Valencia, Ca. 91355. Headlight Bulbs & Accessories. THIS IS FOR ONE NEW 5-3/4" HALOGEN HEADLIGHT BULB. THIS THE HIGH / LOW BEAM HEADLIGHT. THIS HAS THE ( 3 ) ORIGINAL SHAPED PRONGS ON THE BACK SO THEY WILL PLUG RIGHT INTO YOUR ORIGINAL WIRING HARNESS PLUGS. 5.75" 40W Cree LED Headlight (High/Low beam DRL). CREE 5140DA. Light Source: CREE. High quality & 1 year LED warranty. 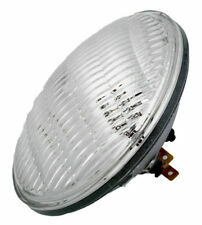 We manufacture these powerful, highly efficient LED lights. They are the highest quality, longest lasting, and most efficient LED lighting for automotive lighting. Headlight Bulbs & Accessories. THESE SLIP IN UNDER THE HEADLIGHT RETAINING RING. Fits most 4 headlight systems. Fit behind headlight bezel. The warranty does not cover New set of 4. • Are incomplete or missing parts; or. H4 60/55 BULB AND A RUNNING LIGHT IN WHITE. THE LIST OF CARS IS NOT COMPLETE, SO MAYBE YOUR YEAR IS NOT SHOWING. 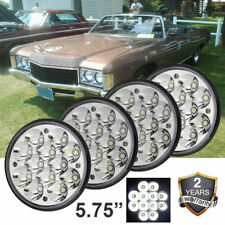 IF YOUR CLASSIC CHEVY HAS 4 ROUND LIGHTS THEN THIS KIT WILL FIT. THESE ARE HALOGEN CRYSTAL CLEAR SEMI-SEALED BEAM GLASS FACED HEADLIGHTS WITH A WHITE ANGEL EYE LED HALO RING! CLEAR HALOGEN 60/55W H4 BULBS INCLUDED. INCLUDES (2) HALOGEN H4 60/55W BULBS! Octane Lighting, Inc.
Trending at $117.69eBay determines this price through a machine learned model of the product's sale prices within the last 90 days. Beam Pattern: Spot/Flood beam Combo pattern. It's just take you few seconds. We will reply you ASAP. The note there will NOT be read. Feature: 5.75" Round Hi-Power 30W LED Projector Headlights. Power: 30W. Projector lens produces a nice and clean cut-off line light output. LED Chip: 10W CREE. Color: Black. Our Profile. Promotion Sale. This is for a new set of 4 polished stainless steel headlight RAISED STICK OUT style half moon trim covers. These can be mounted on the top or bottom of the headlight. These raised stick out style half moons will fit all flat and curved faced headlights. Feature: 5.75" Round Hi-Power 30W LED Projector Headlights. Power: 30W. Projector lens produces a nice and clean cut-off line light output. LED Chip: 10W CREE. 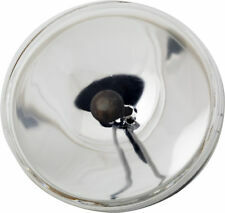 - If you are not satisfied with the item, we have a.
Headlights contain high and low LED bulbs. These are commonly refered to 5" headlights. LED bulbs are 6000k color temperature (WHITE with a hint of blue). Dodge 330 1963. Dodge 440 1963. Dodge 880 1963, 1964. White is for DRL. Luminous Flux:4800 LM@high beam, 3200LM@low beam. LED Power:75W. Simple installation - Plug & Play & LED Canbus & H4/H13 Adapter - Usually in 20 minutes or less. For VW Beetle Classic 1974-1979. Part Number: 4000C1. The engine types may include 6.3L 6286CC 383Cu. V8 GAS OHV Naturally Aspirated, 7.5L 7456CC 455Cu. V8 GAS OHV Naturally Aspirated, 7.1L 435Cu. V8 GAS OHV Naturally Aspirated, 1.6L 1595CC l4 GAS Naturally Aspirated, 9.1L 555Cu.